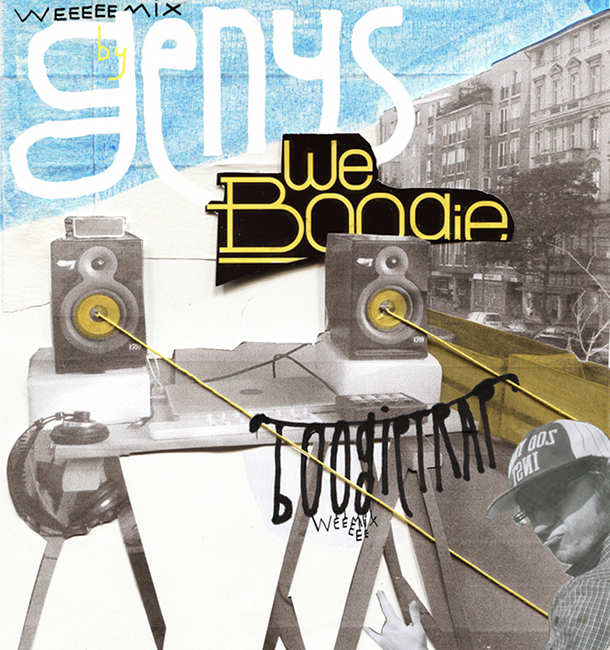 As labelhead of Lowvibe, promoter, programmer and producer 15 years deep in the game, Genys (Berlin/Lithuania) knows his way around the European underground bass scene. Since we like to challenge DJ´s we set out a BOOBYTRAP on the BOOGIEBALCONY and took Genys overground during sunset and eagerly waited for things to come. He pulled out his arcade midifighter and hit right back at us with this mix. Starting off with some chilled out Future Funk vibes but quickly unleashing Funky Bass, Trap and UK Garage monsters he really got caught in his BOOGIETRAP.